Experience the sweeping panorama of Arizona from the air on this scenic tour over some of the Southwest's most awe-inspiring terrain. Fly at ideal altitudes to allow excellent views of the rugged isolation of the Tonto National Forest, the Red Rocks of Sedona, the mystery of Montezuma's Well and the Majestic San Francisco Peaks. Choose from either a 2.5-hour air only tour or for the air and ground option which includes time in the National Park and lunch. 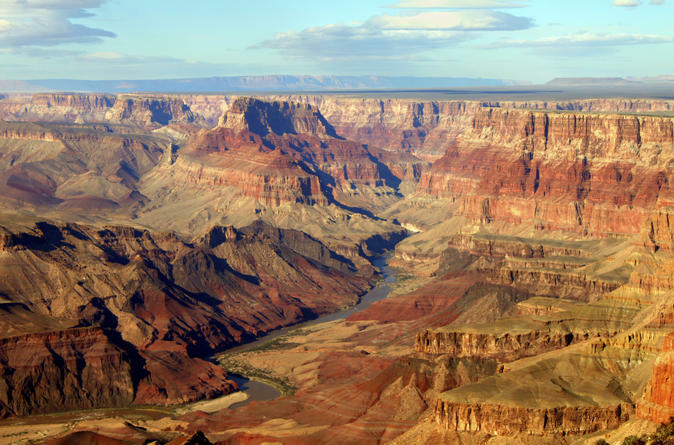 A visit to Phoenix would not be complete without a trip to the Grand Canyon National Park! As you fly over the South Rim, prepare to be amazed with birds-eye views of the canyon on the 60-minute flight. Enjoy "up-close" views of some of the most famous landmarks and a unique perspective of the grandeur of one of the "Seven Natural Wonders of the World". Choose to upgrade your experience to include a guided tour of the Grand Canyon National Park. Lunch will be provided during the ground time. Stop at one of the impressive South Rim overlooks and the Grand Canyon Historic Village where you'll be able to take pictures, enjoy the peaceful views or take a long walk along the rim of the Canyon. You may also see native wildlife. Afterwards, head back to the Grand Canyon Airport to continue your aerial journey, returning to Deer Valley airport in Phoenix via Sycamore Canyon Wilderness and the old mining town of Jerome.